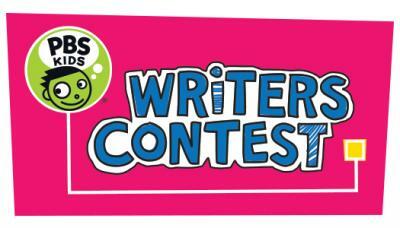 Take a chance to build you child's creative writing skills with a friendly competition from WQLN. Learning literacy is undoubtedly an important skill to instill in young children, but there's no reason they can't have a little fun while they're at it. That seems to be the guiding ethos behind the annual PBS Kids Writers Contest, held locally by WQLN Public Media. The contest, eligible to local kids in kindergarten through third grade, aims to celebrate the creative process while also fostering the growth of literacy and writing skills. "WQLN Public Media is committed to providing fun opportunities for Erie area kids to express their creativity," said Kathy Carducci in a press issued earlier this month. The contest is simple: The kids will write a short story, provide original illustrations, and send them in to be judged. While everyone will receive a certificate of participation, there are prizes for first, second, and third place. The big winner will receive a Nook e-reader, gift cards, and some public recognition on WQLN. There are some rules and guidelines about the stories themselves, which you can find in detail here. The contest will kick off with a Children's Writing Workshop for eligible students at the Blasco Library on Saturday, Jan. 10 from 10 a.m. to 1 p.m. Children that attend will be able to meet Arthur the Aardvark while they participate in workshops to help them brainstorm ideas for their stories. There will also be a book giveaway while supplies last. Seating at the workshop is limited, so call 217.6001 to reserve your spot now. Submissions open on Jan. 5 and will remain open until March 31, so be sure to start encouraging your kids now. As an added bonus, local first-place winners will be automatically entered into a national contest, where a panel of well-regarded judges will determine the twelve best stories in the country. Maybe your kid could be on that list. Or maybe they'll just have fun improving their writing skills.